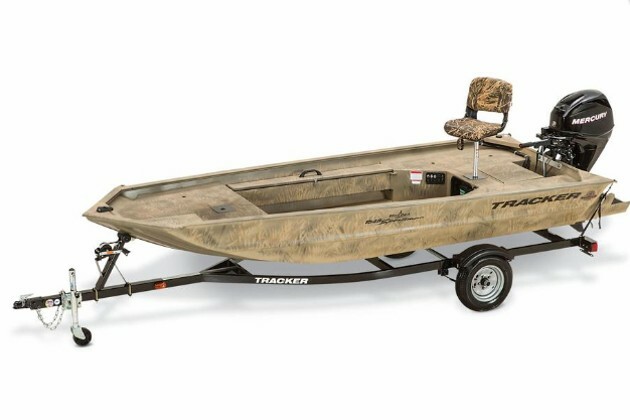 If you want to go fishing one day and duck hunting the next, you need a boat like the new Tracker Grizzly 1548 Sportsman. 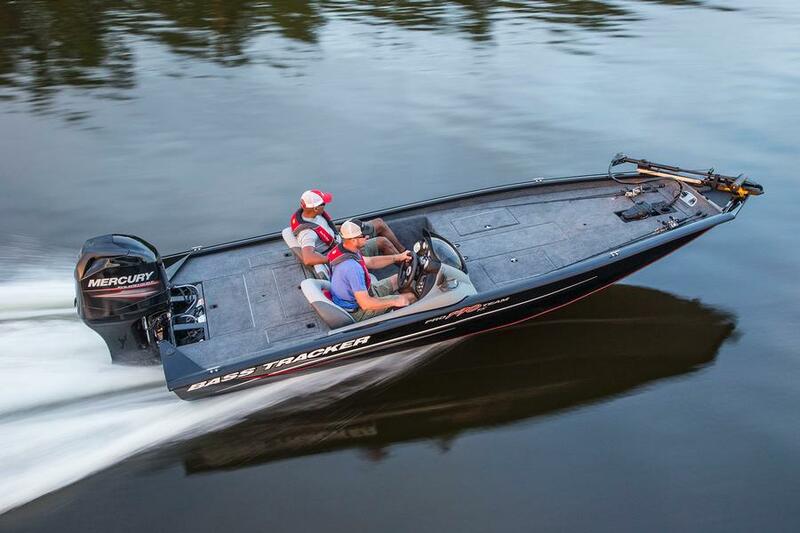 The word “exciting” isn't often applied to 15’ long tiller-steered aluminum boats. 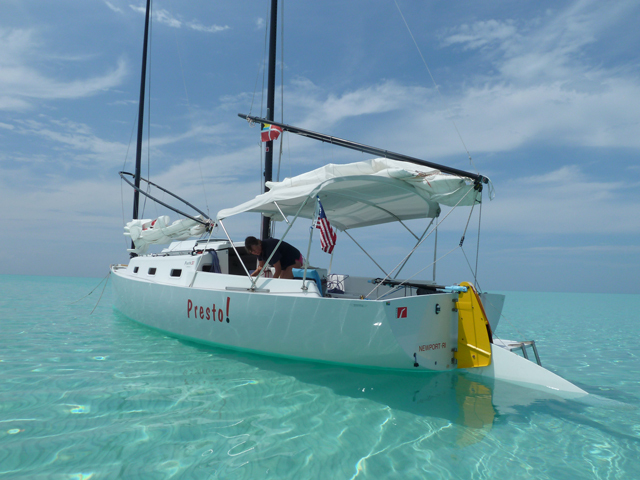 Let’s face it: there are a million and one of them out there, they’re some of the simplest boats around, and few have any newsworthy attributes. One of that does peak our interest, however, is the new Tracker Grizzly 1548 Sportsman. 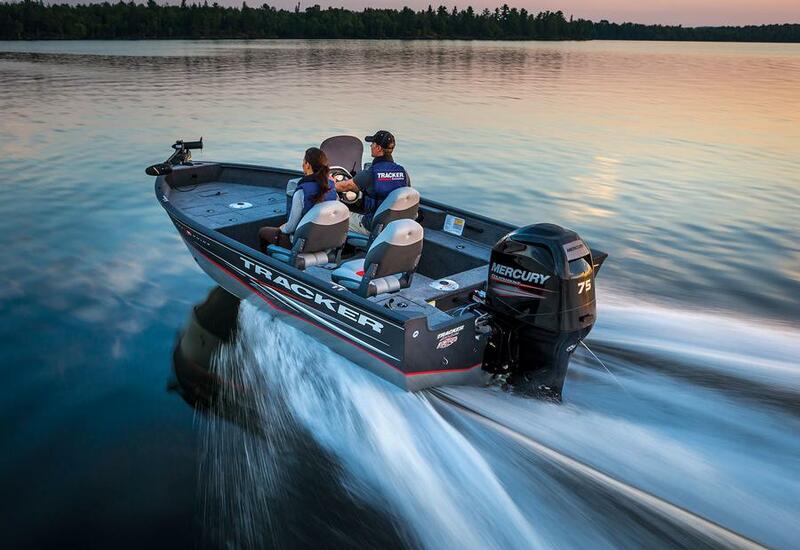 The Tracker Grizzly 1548 Sportsman: hunt one day, fish the next. Why should this metallic marsh-maven cause our eyebrows to raise up? Surprisingly, there are several reasons. The first solves an age-old problem with camo-painted boats: the paint chips and scratches, leaving behind shiny spots. They look messy, and the ducks can spot ‘em and bust you no matter how well you’re blinded up. But the Grizzly 1548 isn't merely painted, it’s power-coated. Three finishes are available, standard green, grassland camo, and woodland camo (with a $400 up-charge for the camo patterns). Tracker started powder-coating all of its Grizzly models just this year, because the finish lasts longer and looks better. Now you won’t have to worry about marking up the boat, whether you drop a fishing weight on the seat or lean your shotgun barrel against the gunwale. 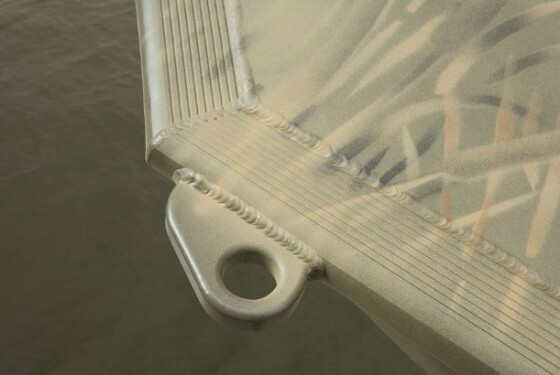 The second feature of note is the Sportsman’s hull thickness. Many aluminum boats under 16’ or 18’ have 0.08” thick aluminum, but this hull is 0.1” thick. Look on the boat’s fore and aft corners, and you’ll notice that welded to the hull, there are eyes. These allow you to stake the boat in place, once you've pick out your hunting spot. Other hunting features include a gunwale track mounting system for a blind, tool-holder, and other gadgets, plus a locking gun box. These welded eyes are a sweet touch, for hunters who like to stake their boat in the marsh. As the seasons change and the boat’s uses change as well, anglers will appreciate the fore and aft casting decks. Note, however, that whenever there are multiple people aboard an aluminum boat of this size, casting from an elevated position can be a bit dicey. The track mounting system can be rigged with some fishing accouterments, too, including rodholders, cutting boards, and downriggers. The 1548 Sportsman also comes with a pedestal-mounted seat on the aft deck, and a second pedestal base up forward. What about a livewell? That’s not in the cards; you’ll have to bring a bucket. 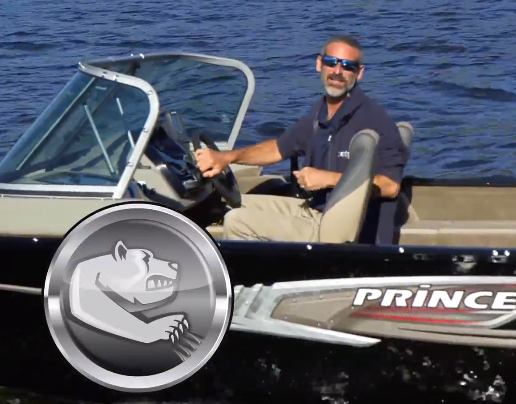 There’s one more exciting aspect to the Tracker Grizzly 1548 Sportsman: its price. 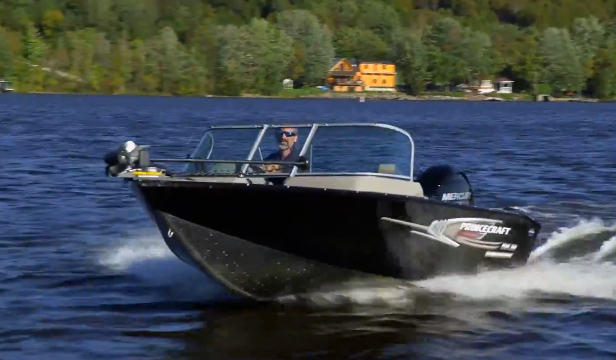 A complete package including the base boat with a 25-hp Mercury four-stroke outboard and an all-welded trailer with 13” wheels and radial tires costs just $8,395 (as of the time of this publication) on a national basis. It’s pretty darn rare to find a complete boat-motor-trailer package at a price like this in modern times, and when you break it down into monthly payments, you’re looking at an expense that’s on par with — or maybe even less than — a cable or cell phone bill. That alone should be enough to raise an eyebrow or two. 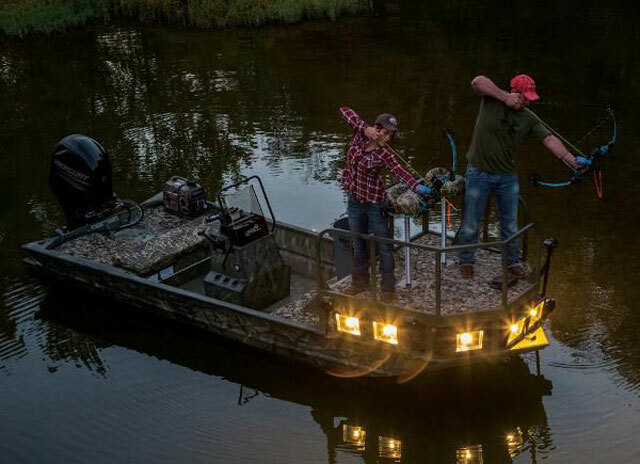 Other Choices: The Lowe Sportsman 16 is a bit bigger, has a 22-gallon aerated livewell, and a camo finish, but has a two-level foredeck and costs more. The Crestliner 1650 Retriever also costs more (by several thousand dollars); we haven’t reviewed that specific model but you can watch our video review of a 1860 Retriever. 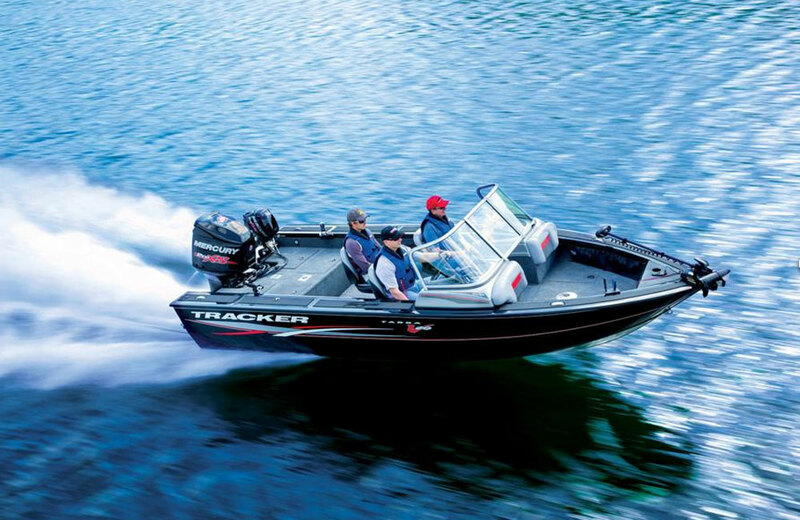 For more information, visit Tracker Boats.